But I’ve learned that those further “downstream” may end up high and dry. 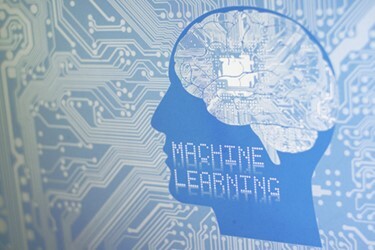 Particularly when it comes to having sufficient data to allow drug developers and manufacturers to fully actuate artificial intelligence (AI) and machine learning (ML), in the pursuit of improving production processes and productivity. Meet Stephen Harrison, CSO & SVP, Engine Biosciences. He’s got a Ph.D. from the University of Cambridge, a post-doc from Berkeley, years of experience at various biopharma organizations … and plenty of data for the drug discovery activities he and his company undertake utilizing advanced – and some proprietary – AI/ML tools. But when he considers biopharma companies and their CDMOs attempting to advance AI/ML to development and manufacturing, he sees a dearth of data as a limiting factor hard to overcome. The answer right now appears to be no. Harrison contrasts this with what’s available on the discovery side. Engine, based in Singapore, starts by mining the vast, rather readily available amounts of human-clinical data being generated today, particularly those data sets incorporating vast amounts of genomic information, as well as data on the transcriptional state of cells, and much more. “Companies believe they can use artificial intelligence and machine learning tools to look through this vast amount of data and be able to identify critical disease pathways worth intervening in. But any in silico approach is mostly going to be correlative. You will be looking for statistical associations …and you need to have real world validation,” Harrison explains. The data that does exist in later-development and API/product manufacturing – as it always has – resides locked within individual pharma companies. Are they ever going to release or pool that data with other pharma and CDMOs? While that seems unlikely, perhaps circumstances will change when they learn their ability to unlock the potential of AI/ML in those sectors of the supply chain will be severely limited if they don’t. Of course CDMOs and other later-stage service companies generate a lot of data as well, but most of that, too, is customer-protected IP. And then there’s that little problem of having a business model based on an inherent and strict code of secrecy. That model rarely if ever allows for the combining of enough data from enough customers, with enough drug development projects and products, to reach the amounts of data for the AI/LM iterations needed to take advantage of these tools. A Consortium In Our Future? One suggestion for bringing more data together is the creation of neutral consortia. These organizations would be established specifically to house data from the industry, and via some form of deconvolution and IP protection, allow biopharma and their contract developers and manufacturers to run AI/ML tools with the pooled data sets. This model was proposed in the EU as part of a similar problem to address the EU’s clinical data transparency directive in 2013. It seems for some scientists, there’s just never enough data.